A politically divided America finds little common ground on the environment, according to a national survey by the Pew Research Center. Although 81 percent of Democrats said protecting the environment should be a top priority, only 37 percent of Republicans agreed. And though 68 percent of Democrats said dealing with climate change should be a top priority, just 18 percent of Republicans agreed. In the Great Lakes region, there has been significant bipartisan support for environmental protections. Last year, President Trump proposed eliminating $300 million in federal funds for the Great Lakes Restoration Initiative. But Republicans and Democrats in Congress united to restore the money, which helps to pay for pollution cleanups, wetlands restoration and many other projects. Trump recently made another swipe at the initiative, proposing to reduce funding to $30 million in the 2019 budget. Again, many Republicans and Democrats in Congress have pledged to fully fund the program. But the Pew survey, conducted in January, showed little of that bipartisan spirit. Overall, among the 19 issues listed in the survey, the public’s top priorities were defending against terrorism, improving schools and strengthening the economy, Pew said. The survey also showed the potential for a generational shift on addressing climate change. Pew said that 56 percent of people under 30 viewed it as a top priority, compared to 37 percent of those 65 and older. No, people do not care. 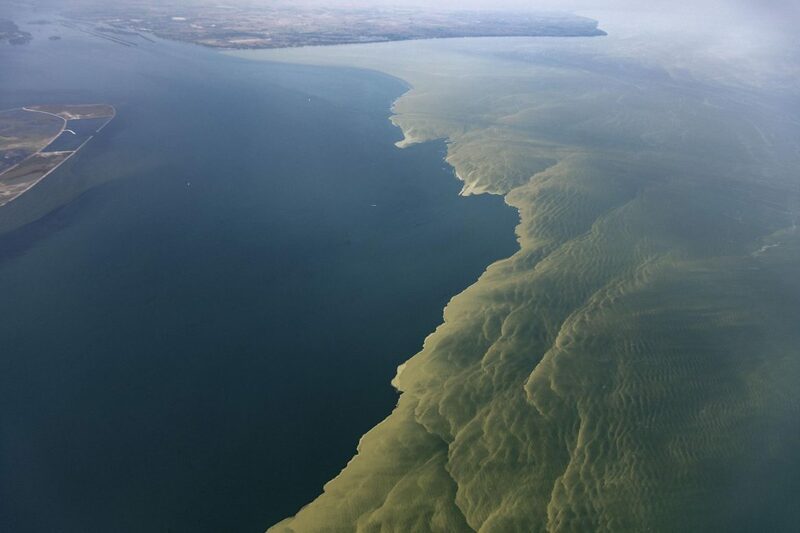 The algae bloom is caused by a stalled conveyor, not nutrient loading. I have tried for years to get them to listen and take action without success. Google “Joe Barrett ice boom” for a great example of environmental apathy.